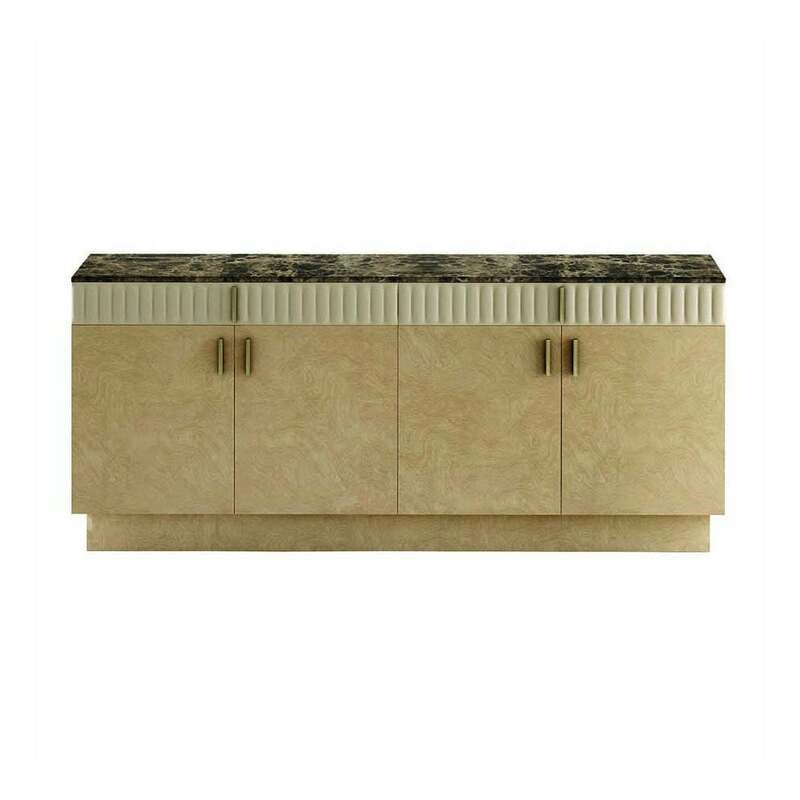 Inject classic style in your interior with the Suite sideboard from the Daytona collection by Signorini & Coco. The use of luxury mixed materials creates a contemporary look the Daytona collection is renowned for. The sideboard is expertly handcrafted form plywood with an unusual myrtle burl veneer. The drawers are upholstered in a luxury leather finish reminiscent of art deco style. The combination of materials is complemented with an indulgent Emperador marble surface. The contrast of the deep and dramatic marble alongside the soft sheen of the leather creates an ultra-glamorous look. Style in the living room with co-ordinating pieces from the Daytona collection by Signorini & Coco.